We're allowed to have days/times to be jealous or just to be teary-eyed. You'll work through it and Pip will help you with her smiles, hugs and unconditional love. My Brandon is 19 and I still have those times but I would never, ever trade his love and I would go back and do it all over again and cherish it even more than I did the first time around! And yes, now I need a kleenex! 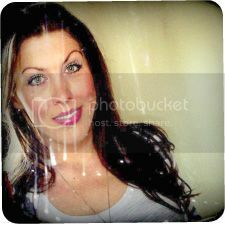 :) Hugs to you momma! Ahhh sweet mommy, I know exactly how you feel and it's ok to feel that way. We've been dealt a different hand and it's not an easy one. We just came off of oxygen this past Sunday after our fourth round of pneumonia. My son is a twin and what was a cold for one became pneumonia for Will. It's such a struggle to deal with the jealousy of friends who don't have a clue about the difficulties we face. But at the same time, it makes the journey that much more precious when things go well and you get to experience the progress. But sometimes we get to just take the time to be frustrated with the trials and yes jealous. So keep your head up, tomorrow will be a better day and wallow when you need to. Your daughter has the most beautiful smile. I love reading your posts... I'm a mumma who gets so worried over the little things, I cannot imagine how difficult this must be but you are a strong woman who was given a beautiful little gift. She is inspiring, as are you. Your family is lucky to have such a strong and loving mumma. Thinking of your little pip and my boys and I will send prayers of strength your way. God sent Lil Pip to the right Momma, that's for sure. Hang in there....a lot of people are praying for you Reid. Well said! Looks like you both are blessed to have found one another. Wishing you all a long happy healthy life together. Thank you for sharing your story! Tara, you have a way of being so honest and in a way that would never be offensive...I hate that you are going through all of this, it is so eye opening..and I know that every mum that reads your blog is touched and looks at their own situation differently. Everyone has times when they are jealous of other families or other mums....you are deffinetly not alone and you have every right to feel the way you do. This is just how you deal with your feelings, by writing about them. Your writing is truly a gift and not only for you but everyone that has the privilege to read your blog. You are an amazing person and I am so grateful to have you as my friend... I love you and I am here whenever you need me in any way I can help. I have two typical boys older than Hailey and I feel jealousy towards other parents at times. I remind myself 100% that I had "normalcy" with them, but it doesn't change the feelings. I'm sorry you had so much for one day. It is hard. I pray tomorrow is better! Different challenges...same feelings. You are a part of the crazy group of mom's who won the odd lottery and finds joy amidst the terrifying journey. Bless you!! Truthfully, I'm glad I'm not the only one feeling this! I only just clicked your blog link and read the first bit and feel very the same. Our 3 month old has DS and a heart condition. 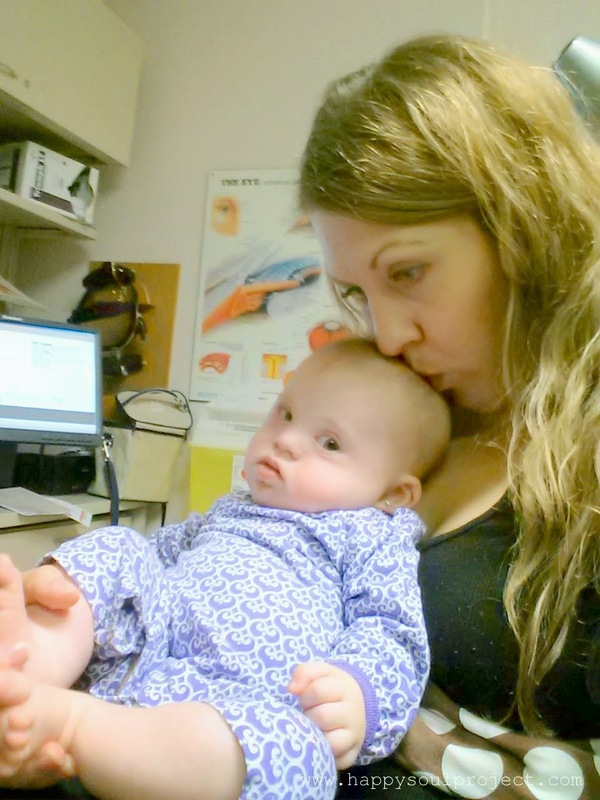 She has terrible reflux and was failing to thrive. Every day in May I sat in some doctors office hearing more news and more medicines they were putting her on. I think it's fair for us to express the "unfair" nature of it, but then realize we shouldn't wallow in it. I look forward to digging deeper into your blog! Tara, I am sorry to hear about the day you had with Reid yesterday. I am especially sorry to hear about the pneumonia and the news of another surgery in the future for Reid. Times like these seem very dark but believe me they are eventually forgotten. Reid is beautiful and happy, and she will get better. I have now sat here for a long time trying to find the words, words of wisdom if you will, or the right sentiment to bestow upon you ( being the father of a three year old with DS, Nathan from DSAK) regarding the way you are feeling right now. And all I can come up with is this, CRY, just cry. Ultimately crying is what helped me, and I don't mean necessarily a pity cry, just an unashamed cry to let it out. Words are nice to hear from people to let you know they care, but crying sets your body up for the next set of challenges that may come about. You're not alone so please don't feel alone, our family will be here to help in any way we can, so please use us. Your challenges are like an unmovable boulder that you push on day in and day out. Sometimes, you need to step back and shake out your shoulders to be ready to push again another day. Just another version of Jay's description that crying can be helpful. 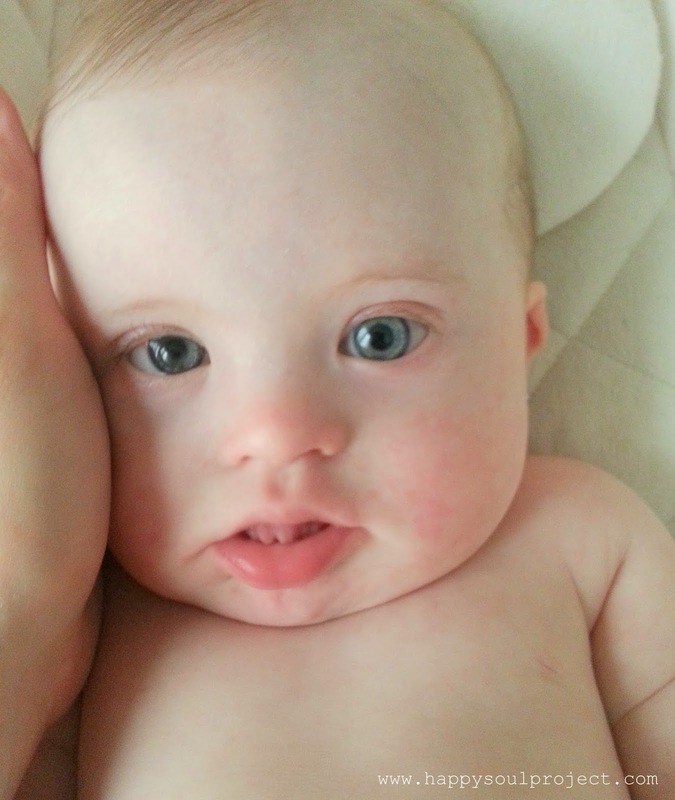 My son is 34, not with Down Syndrome, but another syndrome. Not hard for me to remember all the feelings you expressed. I often avoided b-day parties because they were too painful. OR, if I did go, I would want to pin a sign on my chest, so I didn't have to tell the same story over and over to new people. Julie T. will give you my number if you ever feel like talking to one who has been around the block. I think we've all been there and totally know what you mean. But I promise you, it will change as she grows older. The appointments begin to thin out, the therapies become fewer and further between as she eventually hits the goals set for her, and life will calm down. :-) ((hugs)) to you and your beautiful girl. Don't be jealous Tara. It isn't healthy. Remember that things happen for a reason and God doesn't make mistakes. Reid came to a beautiful family for a special reason. Remember the saying that "I was sad that I had no shoes, until I met a man who had no feet". Reid is beautiful and will bring you joy. Hi Tara...it's what I miss that is heartbreaking...Shan's wedding, her babies, a daughter to talk to, go for lunch with, celebrate and hug. Some of these things may not have happened if Shan was still with us, but it hurts just the same. I just miss her. Life is not always fair and hard to understand. Your feelings are real and it is acknowledging what we miss, the love and support that helps us get through and enjoy life...hang in there, she is sweet and so special...hugs! And for the record Pip is NOT a burden, mistake or any other word that would mean as such...If I in anyway made it seem as such than I am sorry...You must have just read this post & not any of the others in which I pour out my heart to this precious baby girl...I hope you continue to read Happy Soul Project to realize it's just a honest little blog and as happy as I try to be, some days are just hard...Period.. Anonymous, This is a shockingly unsupportive message and clearly mean spirited. Tara, kudos to you for caring enough to express not only the strong and "keeping it togeher" moments...but also the moments in which you need support. You are wonderful and inspiring! I have felt the very same way. My daughter was multiply disabled from brain cancer. Her life has been nothing but torture for the past 13 years. Try as hard as I might I just can't figure out what the hell God is thinking! You are an amazing mom. I stumbled across this site tonight and can't stop reading all your posts. And looking at the adorable pictures of your pip. I came across your blog mistakenly. But it's probably one of the best mistakes I've made. Just one line of reading your blog, I knew you had lots of faith, hope and much love. My heart was in my throat. Five years ago our granddaughter was born. At the time I was more worried about our daughter and her tough times ahead. Mother's Day and our Maddie's Birthday are still her hardest days to get through. But that's okay I understand. Her friends 3 yrs. ago told our daughter to quit mourning its time to move on. As I'm reading your blog, I shake my head to make sure I'm not reading our daughters blog. Both of your emotions run high, truth and fairness is important and the what-ifs crosses her mind everyday. Everyday I see her heart open up a little more, even at 1,000 miles away. God does do the right for everyone. On my wall is a picture that says " She knew that she was formed by God's hands, Dreamed up in his heart and placed in this world for a purpose". We Love her to the moon and back. I would love for you to read her blog. And I do understand if there's no time. Because you've got a beautiful girl to raise. I just came across your post when I'm sat here feeling sorry for myself and jealous of my friend who has everything, life just seems to get better and better for her, like everything she wants just comes to her, I am happy for her just so jealous.